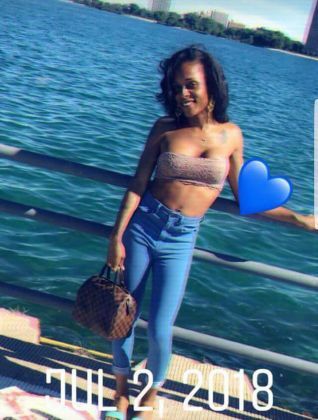 As I stated when I wrote the post earlier this morning about the murder of one of our trans sisters in Chicago, I was hoping we would get through this month without any trans murders. Now I'm saddened to discover that we've had two on the same day this month within hours of each other. We travel now to Shreveport, LA to discuss our 18th victim of anti-trans violence. She is 18 year old Vontashia Bell. Police responding to a shots fired call early Thursday morning found her lying in the street at the corner of Harrison Street and Linwood Avenue in the Cedar Park neighborhood suffering from gunshot wounds to the chest and wrist. She was rushed to University Health Hospital where she later died from her wounds. We in Black Trans World are really getting sick and tired of being sick and tired of our sisters being disrespected in death. We are tired of being misgendered either by law enforcement or the media, or both entities, and it needs to stop. There are no suspects at this time, and police are asking anyone with information to contact Shreveport Police Investigators at 318-673-6955. Those wishing to remain anonymous should call 318-673-7373, lockemup.org, or via their app P3Tips. Crime Stoppers is offering up to a $1,000.00 reward for information leading to the arrest of the individual(s) responsible for this crime. A statement about the murder was released by Louisiana Trans Advocates. Shreveport, LA – August 30, 2018 Earlier today in Shreveport, a young transgender woman was murdered. She is sadly not the first transgender woman of color to be killed in Louisiana this year. Violence against trans people, particularly against trans women, is a plague that continues to affect our cities and communities across the state. City and state leadership must work together with the trans community to curb this violence. Vontashia Bell must not die in vain. Her murder is a reminder of the current climate and national discourse on trans issues. Dehumanizing language and actions lower the barriers to this kind of senseless violence. Shreveport and Louisiana leaders must speak out against these killings, against the ongoing, systemic devaluation of trans people that pervades our media and politics, and against the institutional racism that places almost all of this burden on trans women of color. Her murder is a reminder of the current climate and national discourse on trans issues. Dehumanizing language and actions lower the barriers to this kind of senseless violence. Shreveport and Louisiana leaders must speak out against these killings, against the ongoing, systemic devaluation of trans people that pervades our media and politics, and against the institutional racism that places almost all of this burden on trans women of color. As we mourn the loss of Vontashia, we must double down our efforts to ensure that all trans people across the state have access to jobs, education, housing, and safe neighborhoods. Rest in power, sister. As of right now, no word about a memorial service or arrangements. Rest in power and peace, Vontashia. Your trans family won't rest until the person who took your all too brief life is brought to justice. 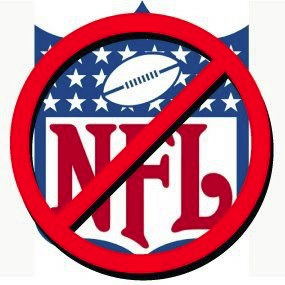 The NFL was legally sacked in their ongoing mislandling of the Colin Kaepernick case. 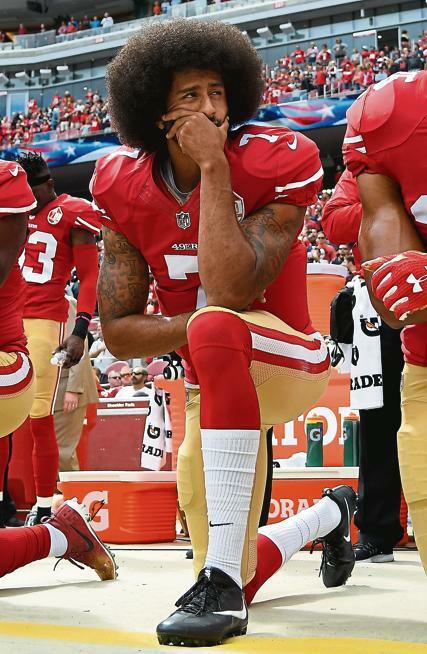 Arbitrator Stephen B. Burbank ruled Tuesday that he was denying the NFL's attempt to dismiss Kaepernick's complaint that since becoming a free agent in March 2017, his inability to secure a new contract has been due to NFL owners violating Article 17, Section 1 of the collective bargaining agreement between the owners and the NFL Players Association. Translation: Kaepernick has a valid enough case to go to trial. The NFL owners (probably being egged on by Jerry Jones) are being racistly stupid here. All they had to do was sign Kaepernick to a contract and his complaint would have been dismissed. Signing Kaepernick would have also allowed the anthem protest controversy to fade from the headlines. But instead, because of their myopic lack of vision, it is front and center for this 2018 season starting next week and they are going to trail for a collusion case that Kaepernick probably has a good shot at winning. Vice News has been doing some excellent trans themed stories lately. As y'all know I made an appearance in the Trans in Texas segment that aired last week . Now they talk to 12 year old Maddison Rose and her family. 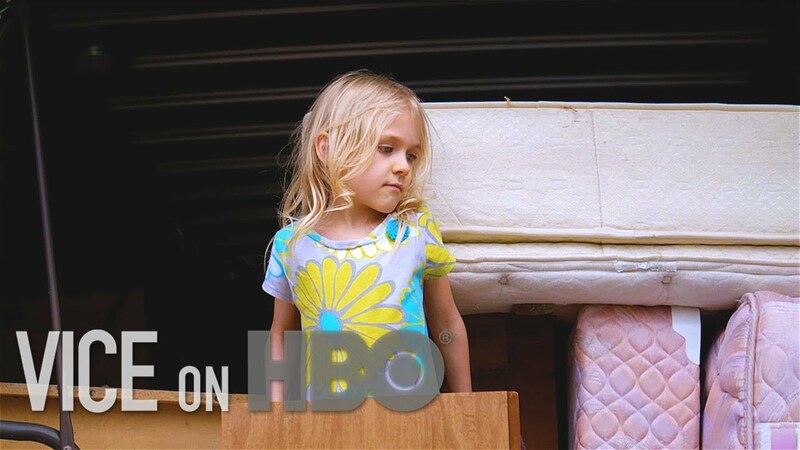 She's the trans feminine child at the center of the controversy she didn't cause in Achille, OK that has gone national. The bullying from transphobic adults that approached hate crime levels is a major reason why Maddie and her family will be Houstonians soon. We're ready to welcome Maddie and her family here to H-town with open arms. Here's the video from that Vice News show. And I repeat, US Open, why didn't y'all put them on separate sides of the draw so that we could have seen this clash in the quarters, semis or even the US Open final? Serena took a little over an hour in a primetime match at Arthur Ashe Stadium to beat Germany's Carina Witthoeft 6-2, 6-2 and punch her ticked the third round for the 18th time. 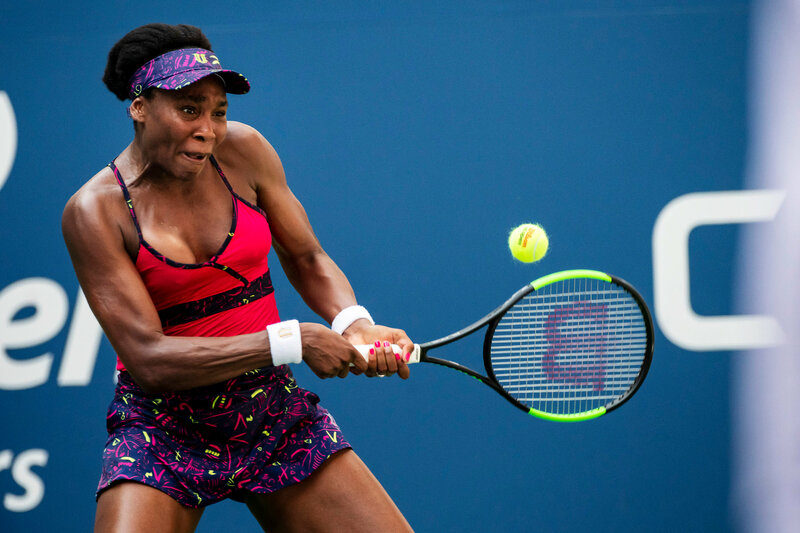 Meanwhile earlier in the day, Venus knocked off Italy's Camila Giorgi in straight sets to set up their 30th time playing each other, 16th in a Grand Slam, and their first in a Grans Slam tournament since the 2017 Australian Open final. 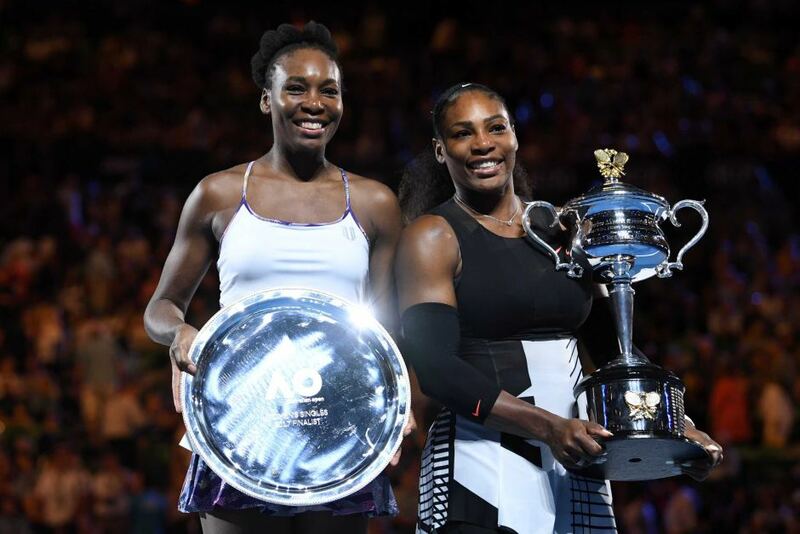 Venus joked that the last time they played it was unfair because she was playing 'two against one', referring to Serena being 24 weeks pregnant with Aunt Venus' niece Olympia at the time and still capturing the 2017 Aussie Open title. The latest Williams Sister match up will be on Friday for a spot in the fourth round versus the winner of the Kaia Kanepi - Rebecca Peterson match. FYI, Serena leads the all time series 17-12, and in Grand Slam tournaments 9-6. You know my sis Tona Brown has been #BlackTGirlMagic personified throughout her music career when it comes to trans people gaining attention in the classical music world. She has sung for a sitting US president and performed at Carnegie Hall. 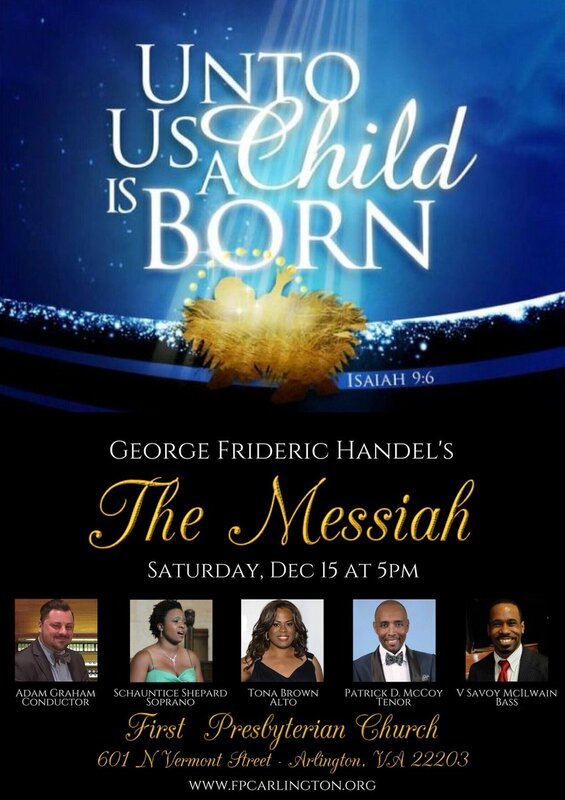 Now this December she will be participating in an all LGBTQ ensemble of soloists and musicians performing Handel's Messiah. Tona told me in a phone interview that she's still in shock that this is happening for her. "I didn't know if this would happen for me in my lifetime," Brown said. "They asked me, and I'm still in shock about it." "I'm pleased to be part of this groundbreaking event," she added. 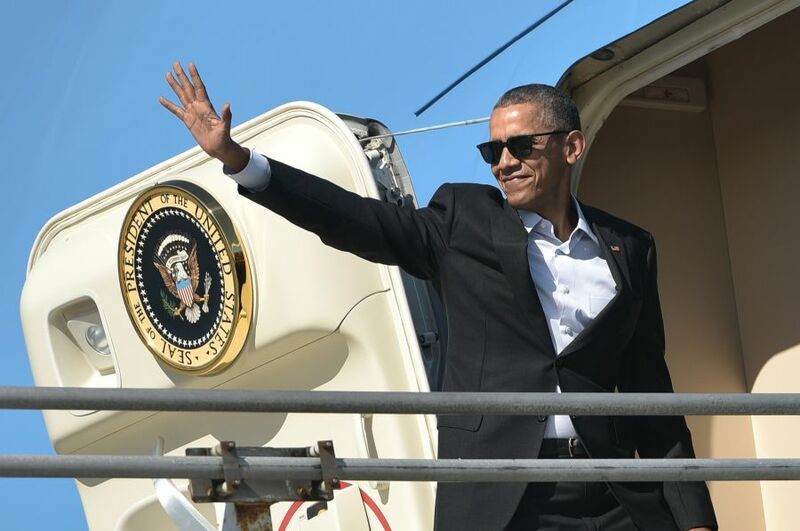 When the votes were counted after the polls closed in the Florida primary election last night, Black history was made in the Sunshine State. 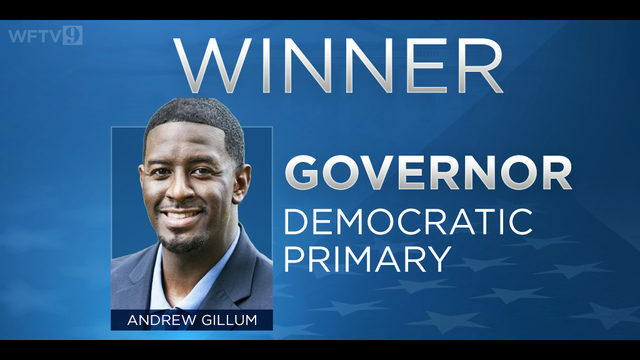 Tallahassee mayor Andrew Gillum was the surprise winner of the Democratic Party gubernatorial primary when the votes were all counted. Gwen Graham, the daughter of former Florida governor Bob Graham, had been considered the frontrunner for the nomination. Gillum never led in any on the polls conducted prior to Election Night, and was consistently third in every one of them. But he prevailed in the only poll that mattered, the one at the ballot box. He goes on to face in the general election Rep. Ron DeRacist DeSantis, who wrapped himself around Dolt 45, and wasted no time injecting race baiting rhetoric into the gubernatorial campaign and getting called on it. 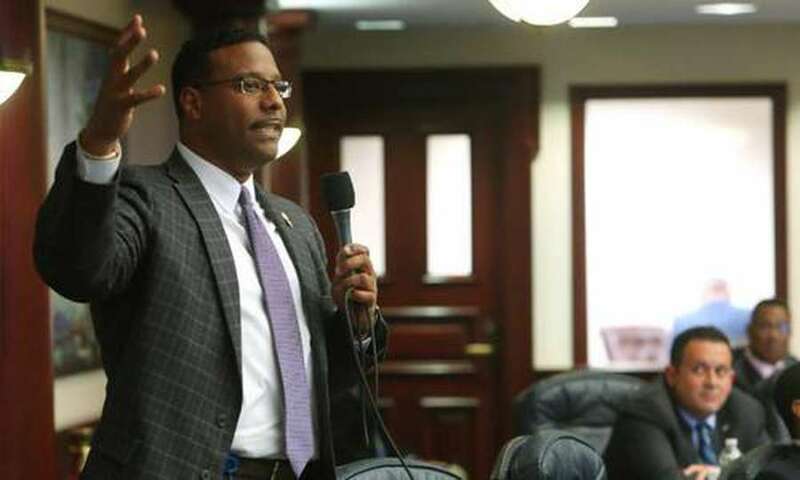 Also making this night a historic one in the Sunshine State is state Rep Sean Shaw (D-Tampa)/ He won his Democratic Party attorney general primary race in his bid to become the first Black attorney general in the state's history. These dual wins combined with Ron DeRacist's 'monkey this up' comment dissing Gillum less than 24 hours after he'd made history will no doubt juice African-American turnout in Florida for the general election, and that will have down ballot implications for other Florida Democratic candidates. 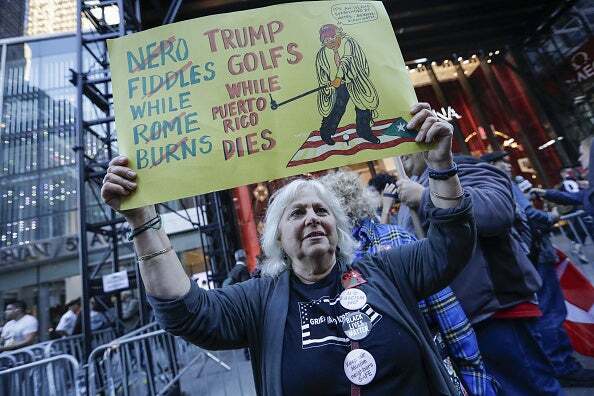 Think they are going to be inclined to vote for Republicans after the Trump misadministration's 'fantatsic job' they did in Puerto Rico after Hurricane Maria? I do television interviews from time to time, and sometimes they end up on the cutting room floor instead of the final broadcast show. I'd done an interview during this year's BTAC conference, but once I took off the mic I forgot about it until my Facebook page started blowing up Friday night with people seeing the short segment that I'd taped. 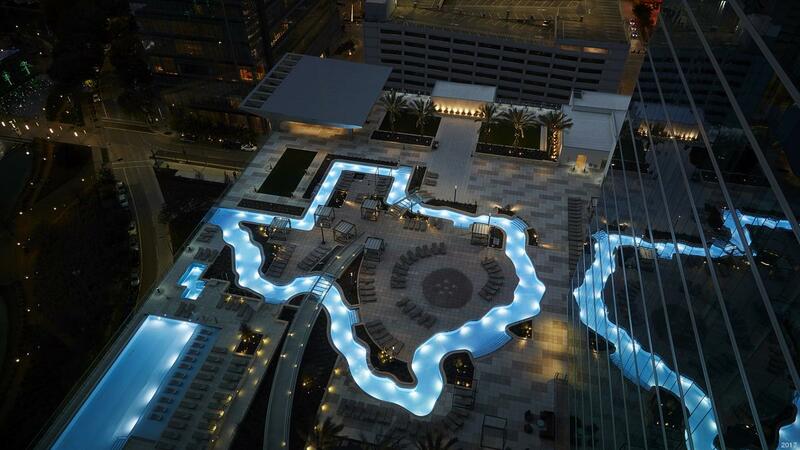 If you don't live in Texas, you need to do the same. Find out when your election registration deadline is happening so if you aren't registered to vote, you can get it done so you can handle your electoral business on November 6 or sooner if you're in a state hat does early voting like I am. .
Uncle Sam needs you to participate in flipping this country and your states blue and firing the GOP at all levels of government, since they have made it clear they only wish to do so for heterosexual conservative white males only . 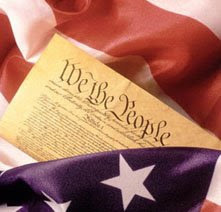 While many of my TransGriot endorsement posts over the next 60 plus days will be Texas centric, and I will do endorsements in selected races in other states, the goal of them is to arm you with the information you need to cast an informed vote for the people and the issues impacting this election. 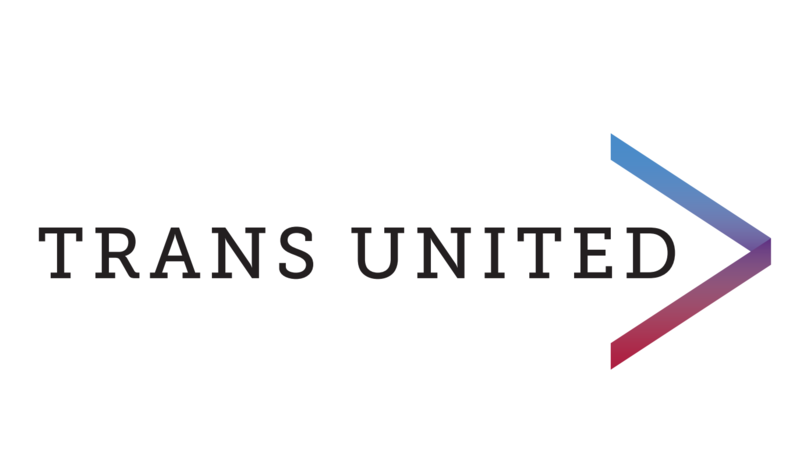 The New York primary election is rapidly approaching on September 13, and as a Board Member of Trans United Fund, I’m proud to exclusively announce that we’re endorsing Cynthia Nixon for Governor and Jumaane Williams for Lieutenant Governor of New York because we believe they will be champions for the needs of trans and nonbinary people. The current governor has had several opportunities since 2011 to use his power to help our community, especially when it comes to getting GENDA passed and to his desk, and failed to decisively act to legislatively advance our rights in New York . Trans communities don’t need lip service-we need action. There’s been a lot of talk in these races, and many who are not a part of our communities have attacked Cynthia and Jumaane as if they were speaking on behalf of trans and queer people. Let us be very clear: we speak for ourselves, and what we’re saying is: Cynthia Nixon and Jumaane Williams are our choice for New York. 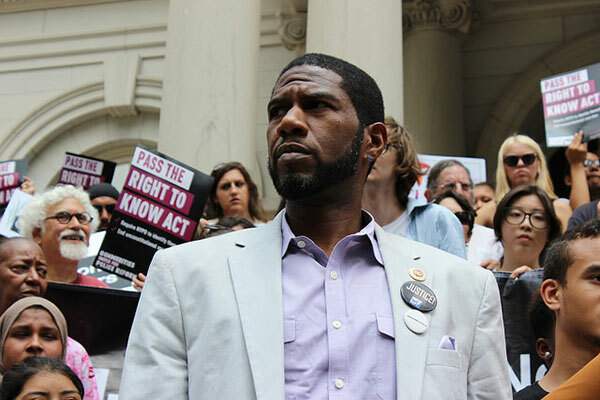 Trans people of color throughout New York deserve a Lieutenant Governor like Jumaane Williams who has tirelessly fought against racist Stop and Frisk policies that target our communities for violence and criminalization. Our communities deserve a Lt. Governor like Jumaane who has organized to provide more beds for homeless youth throughout New York, where almost half of homeless youth are LGBTQ; who, in a time of widespread attacks on trans communities’ right to simply exist in public, stood firm and helped pass a bill that protected our rights to using public facilities. That is what championing our communities looks like: taking real action, even when it wasn’t popular, even when it wasn’t election season. 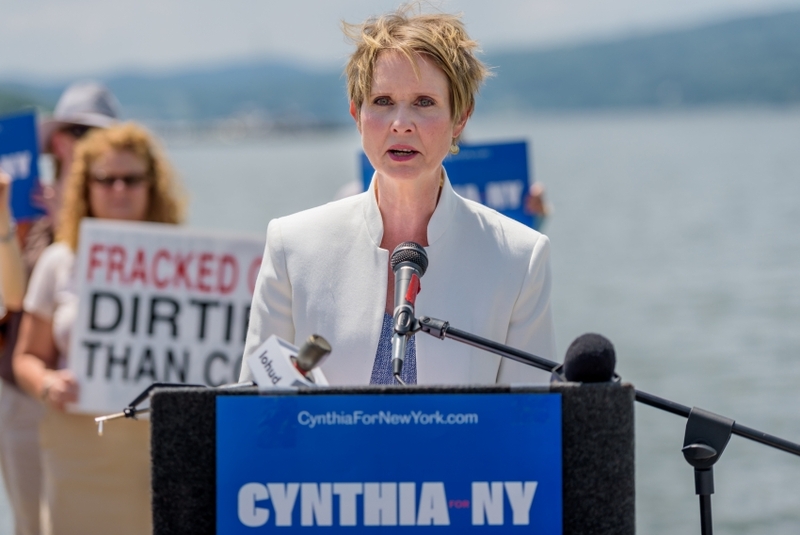 Trans and nonbinary people throughout New York deserve a Governor like Cynthia Nixon, who won’t make backroom deals with fake Democrats, but will actually champion GENDA and make sure trans, nonbinary, and LGBQ people are protected from discrimination. 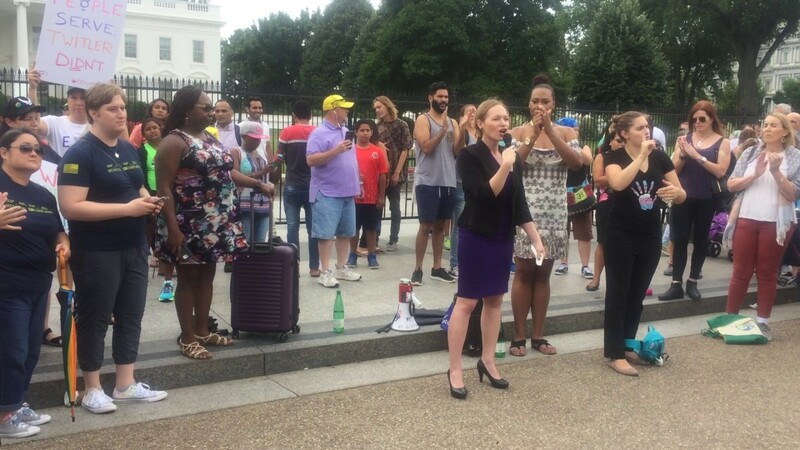 Our communities deserve a Governor like Cynthia who is herself a queer woman, and the supportive mother of a trans child, because for her, this isn’t an election slogan: this is personal, this is family. Trans and nonbinary communities of color deserve a Governor like Cynthia who is making fighting criminalization one of her top priorities: from ending cash bail, closing Rikers, ending the process of trying children as adults, to re-investing funds that have historically gone to incarceration into education and community initiatives that actually build up our communities and keep us safe. Trans and nonbinary communities need real champions, not election-season lip service. It’s my belief, and the belief of Trans United Fund, that Cynthia and Jumaane are those champions, and we’re proud to endorse them for Governor and Lt. Governor. There is some chatter occuring in sections of Houston LGBTQ World coming from predominately white peeps inexplicably opposing the city's bid to capture the hosting duties for the 2020 Democratic National Convention. Their rationale to buttress their flimsy opposition to the city's bid for the 2020 DNC is that since Houston doesn't have a non discrimination ordinance, it shouldn't be hosting the convention. FYI for you peeps. Guess y'all forgot we DID pass the Houston Equal Rights Ordinance on May 28, 2014. 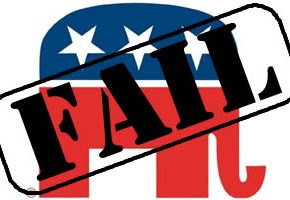 We lost the repeal battle after HERO was forced on the ballot by the conservative leaning SCOTX and right wing fake faith based evilgelicals. 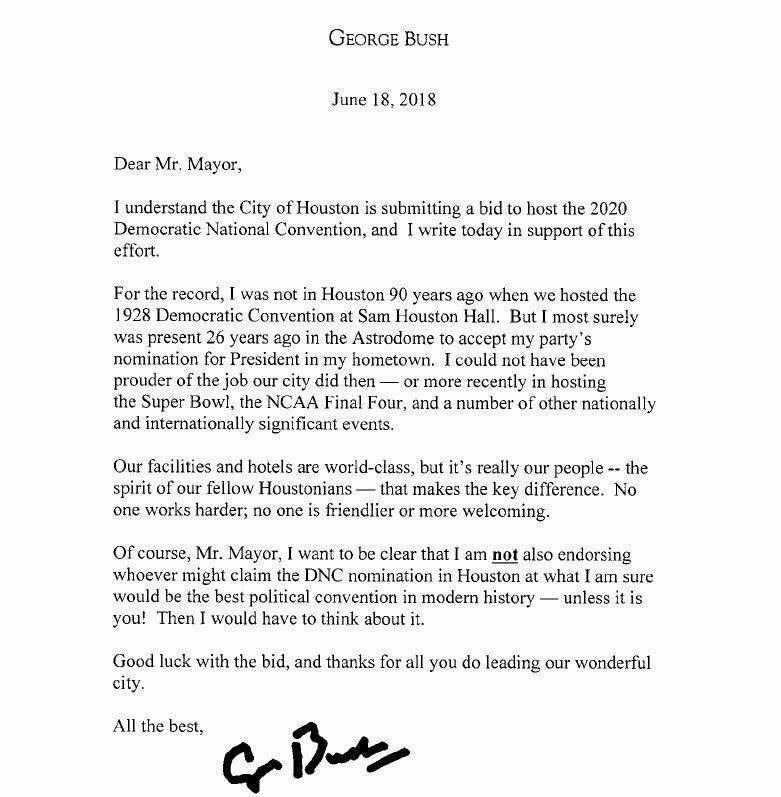 The Houston 2020 DNC convention bid also has bipartisan support from local Republican legislators and former president George HW Bush, who wrote a letter to Houston Mayor Sylvester Turner supporting the bid. I support the city of Houston going after the 2020 Democratic National Convention. 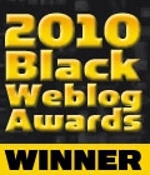 As of this writing we are one of the three finalist cities for it in addition to Miami and Milwaukee. These downtown hotels, should we land the bid, would be filled with people attending the convention. Houston has also proven multiple times that we can easily handle large scale conventions and events. The 2020 DNC convention would not only provide business to these downtown hotels during the convention business summer doldrums, it would provide work for all the people in our Houston service and hospitality industry during the four days in 2020 that Houston would be hosting the Democratic Party leadership, delegates from across the country, and media covering the event. Must point out that the people working in the Houston hospitality industry would definitely appreciate the opportunity of making some money during the summer convention doldrum period. Many of those people working in the Houston hospitality industry are Black and Latinx Houstonians who would benefit personally by the DNC being here. It has been 90 years since Houston last hosted the DNC in 1928, and 1992 since the city hosted the RNC at the Astrodome. It's way past time for the city of Houston to host the Democrats in our hometown again. 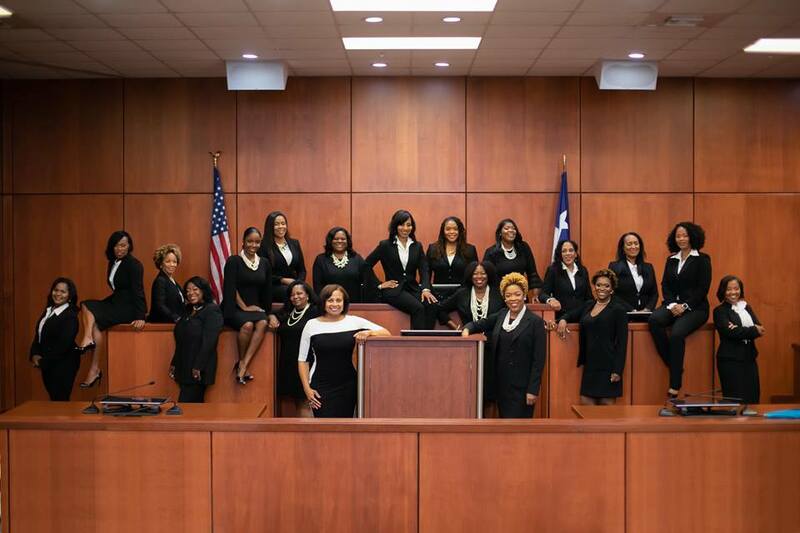 One of the other interesting things I'll be watching on Election Night 2018 is the developing story of nineteen Black women who are running for various judicial benches in the most populous county in Texas, Harris County. This story has been building since the March Texas primary, when these women won their various judicial primary races. One of the stories that was overshadowed in the 2016 election is the fact that Harris County, which had been trending purple over the last few cycles, went undeniably blue that year and is on track to do so again in less than 60 days. Harris County provides 25% of all the votes cast in a Texas statewide election. The other reason why these 19 Black women running is important for our community is because in addition to providing judicial leadership that reflects our community, winners of judicial seats, since they are countywide races, are looked at as potential candidates by the parties for statewide and federal races. These women are not only part of the historic wave of Black women running for office in this 2018 cycle, they are also sending the undeniable message that Black women are the base of the Democratic Party, they deserve to be listened to, and also hold public office. .
Our Harris County courthouse judges need to reflect the diversity of the 5 million people who live in the most populous county in Texas and the third most populous county in the US. 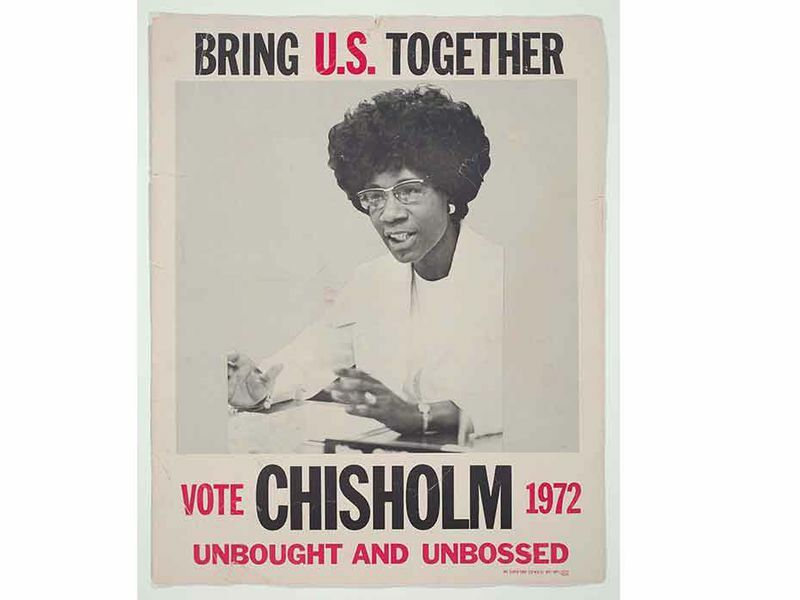 Trust Black women means electing Black women to public office. The last Grand Slam tournament of the 2018 international tennis season is upon us as the city of New York welcomes the tennis world to the US Open until September 9. The new Louis Armstrong stadium will be open for this tournament, and like Arthur Ashe Stadium, has a retractable roof As y'all know, both my fave tennis playing siblings are involved in the Open/ Venus is seeded 16th and Serena right behind her, seeded at number 17. Sloane Stephens is the defending champion, and Serena is once again not only seeking to win her 24th Grand Slam title, she is seeking to capture her record seventh title at Flushing Meadow. Venus is trying to win her third and her first US Open singles title since 2001. One person neither one of them will play in this 2018 US Open is world number one ranked and number one tournament seed Simona Halep, who got knocked out by Estonia's Kaia Kanepi in straight sets. Venus will begin her US Open campaign against wild card qualifier Svetlana Kuznetsova. Should she prevail, she would face Italy's Camila Giorgi in the second round. Serena starts her quest for US Open title number seven against Magda Linette of Poland. She she handle her tennis business, she would ten take on in the second round he winner of the Caroline Dolehide-Carina Witthoeft match. TransGriot Update: Venus won 6-3, 5-7, 6-3 in her first round match. Serena did the same easily in straight sets 6-4, 6-0. While I am happy to see this explosion of trans candidates running for office, and the TransGriot 2018 endorsement post is coming soon, bear in mind that just because you're trans doesn't mean I'm automatically going to endorse you. I not only look at your platform, I'm also looking at the viability of your campaign. What's your fundraising look like? Have you been doing the nuts and bolts stuff like talking to the various constituency group in your area? 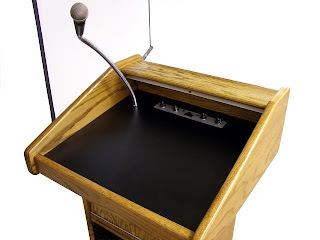 Have you been participating in the local debates? Who is (or isn't) endorsing you? Will you be able to translate the platform you campaigned on into concrete policy if you are elected? Deciding on whether to run for office is a challenging proposition that requires hard solid thinking before you enter the race and an ironclad commitment to doing the hard work necessary to run a credible campaign. There's also the possibility that no matter how hard you work on a high quality campaign, the voters may choose someone else on Election Day. And as trans people who are stepping up to run for office, we need to take those decisions seriously. It's an undeniable fact we need trans folks sitting at the governing tables at every level of government. 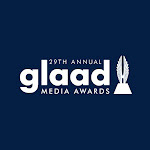 We're in a time period in which being trans is considered a positive in the political world, and there are so few trans folks in office on a national level that when a trans person runs, it's not only newsworthy, there is a potential if they are elected of making history and becoming a possibility model for our trans kids watching their race. Make no mistake about it, running for office means that you are applying for a job in which your bosses are your constituents. But running for office means that we have some things we have to do on our end. We have to raise funds to pay for the campaign. We have to seek out endorsements and interview with multiple screening committees for them. We have to interview with newspaper editorial boards. We have to talk to our potential constituents to find out what their issues are in order to serve them better if elected. Just because we're trans and have a demonstrated need for representation at all levels of government as an oppressed class of people, and we have a leg up on the trust issue because of the unapologetic way we live our lives, doesn't mean that people should just hand us an endorsement when we show up. We have to earn it. We also have to earn people's votes, Bur in order to be sworn in to serve in whatever office we run for in January, we gotta put in the work from February to November to get elected. One of the other election results I'll be paying close attention to in Massachusetts on September 4 besides the Republican gubernatorial primary featuring incumbent Gov. Charlie Baker versus the reprehensible LGBT hatemonger Scott Lively is the US House District 3 race Democratic primary. The Question 3 referendum on the statewide trans rights law will happen in the general election on November 6. Rep. Nikki Tsongas (D) decided to retire, setting off a nine candidate scramble to replace her on the Democratic side of the ballot. 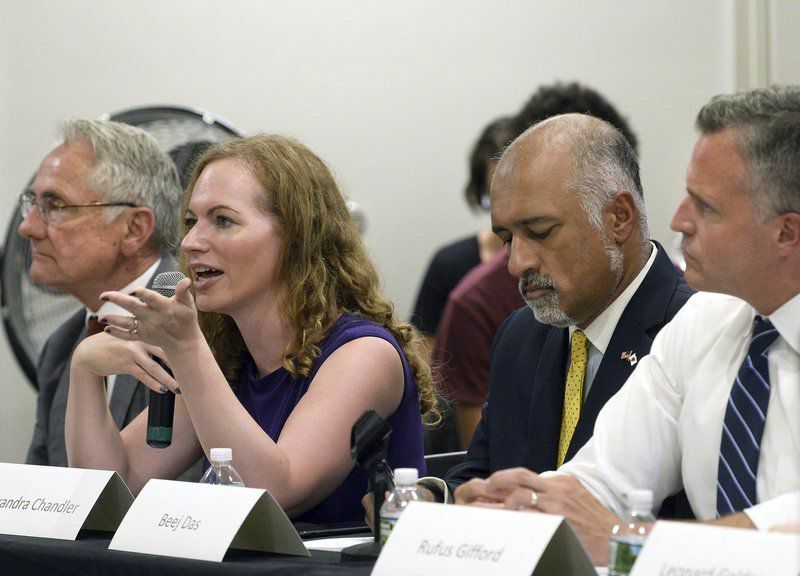 One of those candidates is Alexandra Chandler, a Navy veteran and former intelligence analyst who is another one of the wave of qualified and unapologetically trans candidates #TransformingPolitics. 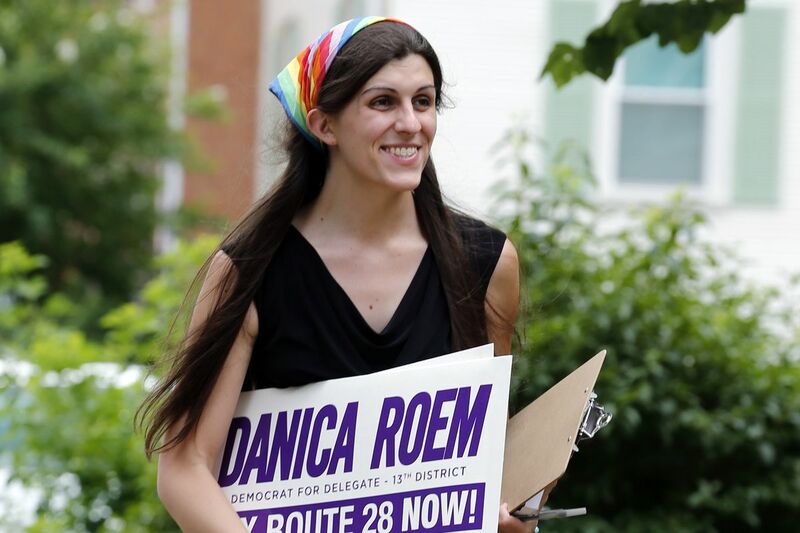 She is endorsed by Trans United Fund, other organizations, and various politicians in the 3rd Congressional District. We've had a few people since Amanda Simpson became the first out trans person to win a Democratic congressional primary race in Arizona back in 2004 who have come close to achieving that milestone of getting elected to Congress. Here's hoping that Chandler breaks through and makes it happen.